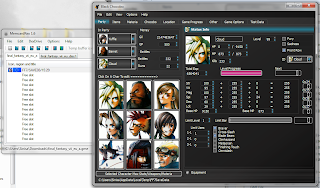 save editor called Black Chocobo, written by Sithlord48. 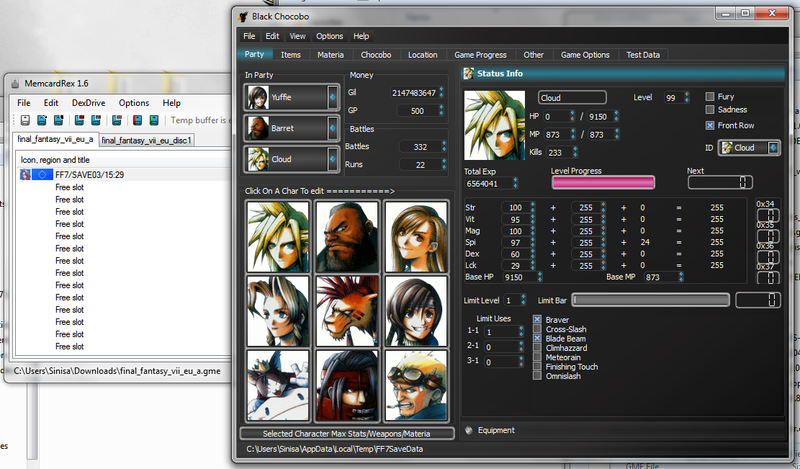 is a way to use Black Chocobo as a plugin. you can download right here: http://www.mediafire.com/?40jtc4jw769mj92. After you get the file transfer BCLoader.dll into the "Plugins" directory. 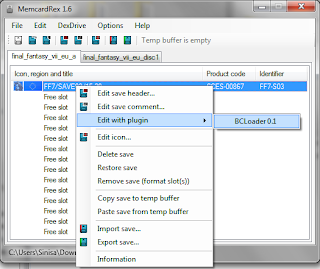 Now open MemcardRex, go to Options->Plugins, select a BCLoader and press the Config button. Navigate to Black Chocobo's executable and press "OK". 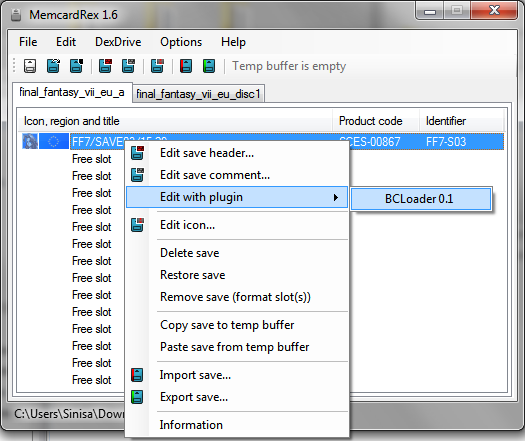 Congratulations, you can now use Black Chocobo as a FF7 save editor for MemcardRex. to use this plugin (get it in the post below this one). Don't forget to save the changes after you finish editing your save.